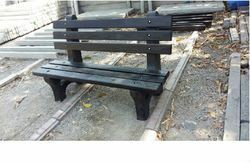 We offer high quality Garden Chair Bench PVC Mould. We are Preeminent supplier of Rubberized PVC Mould for Making Paver Blocks and Tiles. 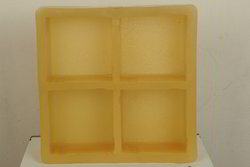 The Moulds comes in Different sizes of 60 MM, 80MM and 100MM. Having a definite quality management system, we are readily engrossed in bringing forth a comprehensive gamut of PVC Rubber Kerb Stone Mould. Area (Sq Ft): 56 Pcs/ 100 Sq. Ft.